I have a few different beauty box subscriptions but I don't tend to talk about them very often on my blog BUT this months Birchbox couldn't go unmentioned this month as it's the best box I have had in such a long time! I've only been getting Birchbox for a few months now and I'll be honest, I've really liked every box except one, but Septembers box has actually blown me away! I'm sure most people know what the deal is with Birchbox, but for those who may not be aware, it's a beauty subscription box which is full of different deluxe samples for you to try. Occasionally there is a full sized product, but for the most part they're all deluxe samples. It only costs £12.95, which includes shipping too! You also can earn points by filling in a survey on each box every month. These points equal money to spend in the Birchbox online shop, which is overflowing with full sized products from some amazing brands! I've yet to fill out this months surveys, but as of the end of last month I have 231 points, which equals £23 that I can spend in the shop! Anyway, shall we get into the what was in my box this month? Agave Healing Oil Treatment: I've never used any products from Algave before but I do love trying out new hair products, especially products that claim to help strengthen my hair! The healing treatment is meant to help smooth your hair, get rid of frizzyness, strengthen you're hair and add shine to your hair. Pretty much everything I want in a hair treatment. I used this last night and I have to say it left my hair feeling silky soft! This could be a future purchase from me! Benefit it's Potent! Eye Cream: A clear beauty blogger favourite and this was the product that I was most excited about! I've seen nothing but amazing reviews on this, so couldn't wait to wash my makeup off and apply this! It's Potent! Eye Cream, claims to remove dark circles, and smooth out fine lines. I don't particularly have dark circles, but I do have fine lines, as well as having a very dehydrated eye area. I'm constantly trying out new eye creams, in the search to find the best so I'm hopeful this will do the job. I've been using this every day and I have to be honesty, I adore it so far! Korres Citrus Body Milk: I like to use a light weight body lotion so this is perfect, it also contains some of my favourite body ingredients with almond oil and shea butter, which means this smells amazing! This does leave my skin feeling hydrated and soft but doesn't leave that tacky feeling that a lot of body lotions sometimes do. ModelCo Power Lash Mascara: Now if you know anything about me, you'll know I do love a mascara. I own far too many, but that doesn't mean I'm not keen to try new ones, in fact I love trying out new mascaras! I'll be honest, I haven't tried this yet, mainly because I currently have around five mascaras on the go and some of them cost a lot of money, so I want to get my moneys worth from them all before opening up a new mascara! This claims to give maximum volume, yes what I always want in a mascara, so I'm looking forward to trying this. Beauty Blender + Blendercleanser Solid: Now this is the product that turned me from liking this box to loving it! I have never used the Beauty Blender before, I have tried dupes, but none of them were any good and I've always wondered if the beauty blender was honestly as good as people said it was. WELL, I'm a woman who likes to apply foundation with my hands, I don't like the finish a brush gives me, and as I said, the sponges I've tried have never won me over, so could the Beauty Blender? Yes it has! This is amazing! The finish this gives to my skin is totally flawless. It's like I've been airbrushed! This also applies my foundation in next to no time too! I'm totally sold! This also came with the cleansing soap, which is a nice added touch. This is only the small sized Beauty Blender, but I'll be ordering the large size once I get paid and will keep this for my concealer. Urban Fruit: Every month you also get a lifestyle extra, this month it's a packet of mini strawberries that are lightly baked. They taste quite nice and I guess it's a nice little extra, but having these in my box made no difference to my opinion, it just meant I had a little snack whilst I was ooohing and ahhhing over the products in my box! 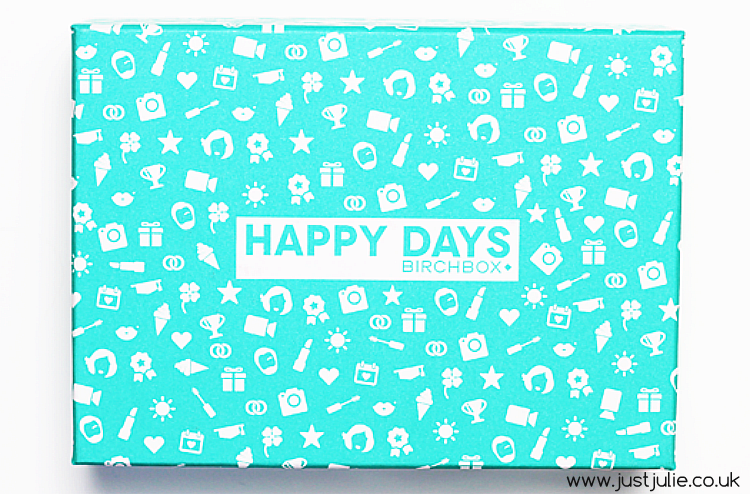 Birchbox Happy Days Photo Clip: The theme around this box is all about looking back on happy memories of the past, so of course photos are the main things we look back at, so this is just a cute little photo clip where you can clip it to a favourite photo and leave on your dressing table or work desk. It's a nice added extra, but again, it's not something that swayed my opinion on the box. I loved this box, it's my favourite beauty subscription box that I've ever had and I will/have used everything, and no doubt will be purchasing at least three of the products in their full sizes. The box that the products came in, is super cute too. If you aren't already subscribed to a beauty box then I really recommend Birchbox , the sample sizes are always generous, you do get a lot of great products every month, plus the added bonus of earning points which you can spend in their online shop is a huge plus too! If you'd like to subscribe to Birchbox then you can follow my referral link just HERE where you and I will receive 50 points to spend in their online shop, which equals £5! Are you subscribed to Birchbox? 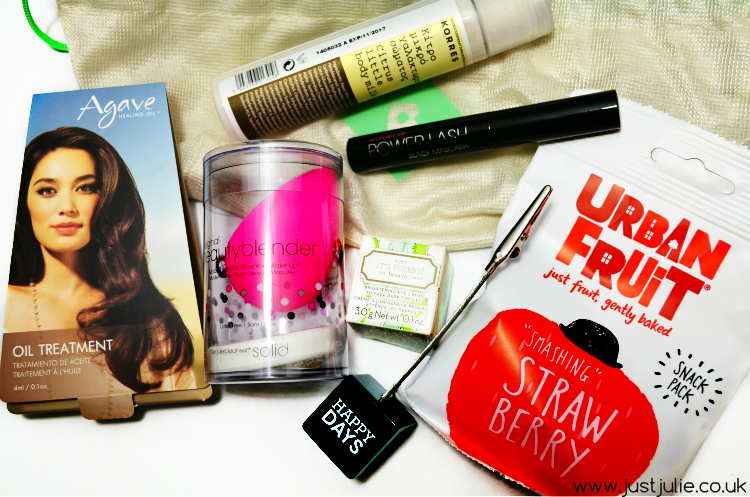 What is you're favourite beauty box?